M&M has launched the India-made KUV100 in Taiwan. The entry-level model costs NT$5,58,000 (INR 12,79,868.00), although the company is offering the first 10 units for a discounted price of NT$4,98,000 (INR 11,42,247.79). The Mahindra KUV100 is available in Taiwan in only the cheaper, 5-seat version. The Mahindra KUV100 is available in Taiwan in only the cheaper, 5-seat version. It is equipped with features like 15-inch alloy wheels, power windows on all doors, electrically adjustable exterior mirrors, cooled glovebox, headlights with follow-me home function, rear parking sensors and mood lighting in inner door handles. 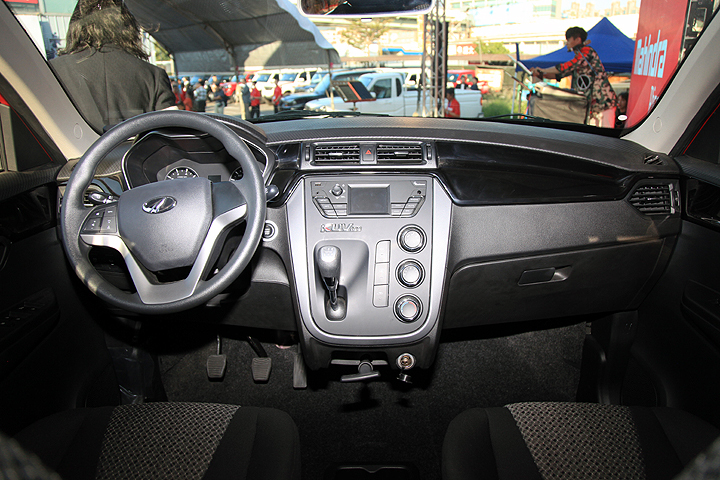 Mahindra’s Taiwanese website says that a 7-inch touchscreen infotainment system is a part of the standard equipment, but one of the images from the launch event published by news.u-car.com.tw (below), does not show the car equipped with this feature. On the safety front, the feature list includes ABS with EBD, dual-front airbags, speed sensing automatic door locks and ISOFIX child-seat mount among others. The Mahindra KUV100 measures 3,700 mm in length, 1,735 mm in width and 1,655 mm in height. It has a 2,385 mm wheelbase and a 170 mm ground clearance. Under the hood is the standard mFalcon G80 petrol engine. The 1.2-litre naturally aspirated three-cylinder mill produces 61 kW (82 hp) at 5,500 rpm and 115 Nm of torque at 3,500-3,600 rpm. A 5-speed manual transmission sends drive to the front wheels. The Taiwanese-spec Mahindra KUV100 employs the 1.2-litre mFalcon G80 naturally aspirated three-cylinder petrol engine. 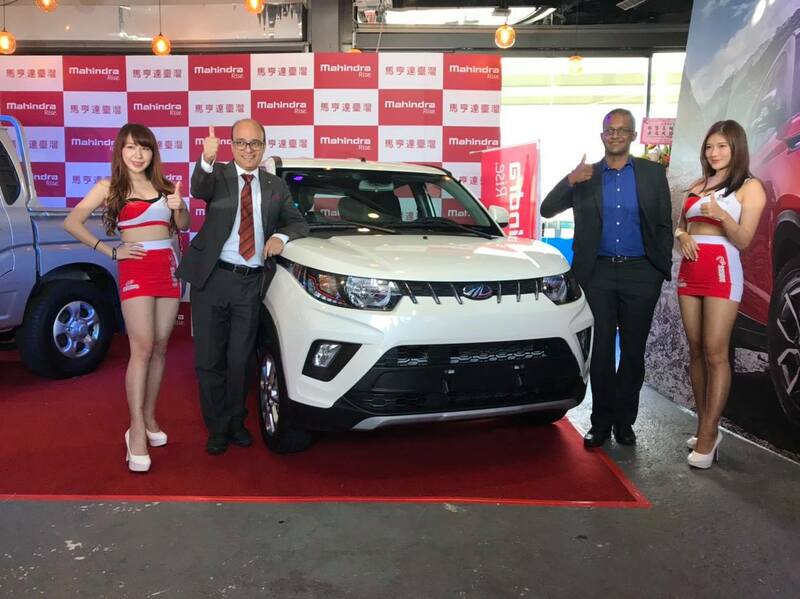 Mahindra entered Taiwan with the launch of the Scorpio Pik Up commercial vehicle in April 2017, and the KUV100 is its second model. It has listed the XUV500 on the local website, but the launch is yet to take place. D&G Automobile Inc. is the official distributor of its vehicles in the East Asian nation.